Gyoza (Japanese potstickers) paired with ice cold beer is the perfect ending to a long weekend. 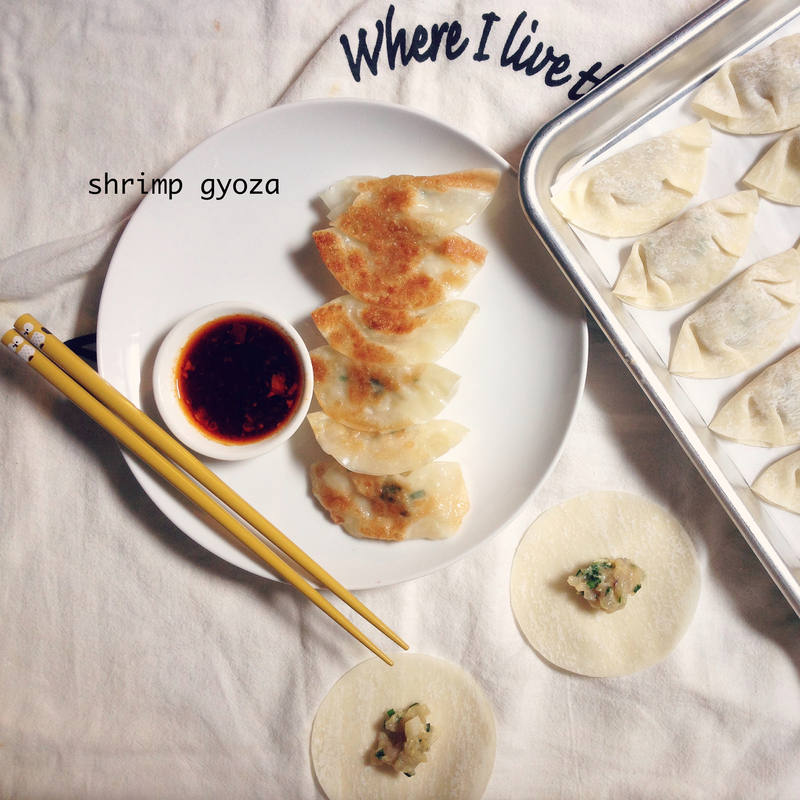 For this recipe, delicate gyoza skins are filled with a savory stuffing–shrimp combined with garlicky chives, water chestnuts, and freshly grated ginger and garlic. Additionally, cooking sake, soy sauce, and pure sesame oil are added to the shrimp mixture, creating a super delicious filling. To cook, the gyoza are quickly fried then steamed until the filling is cooked through. 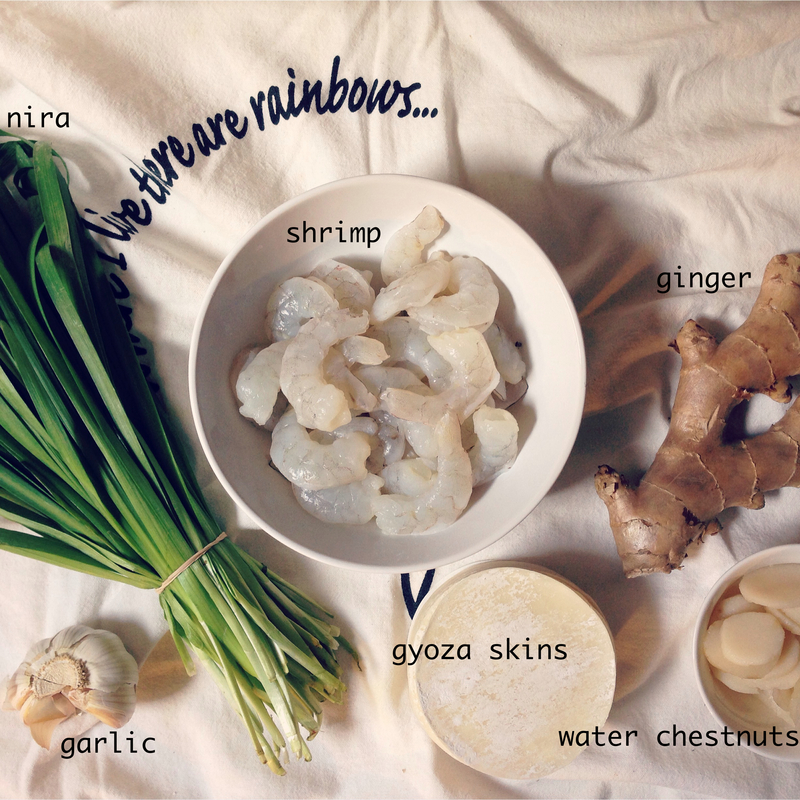 Prepare shrimp. Roughly chop 1/3 of shrimp, set aside. Finely chop remaining shrimp into a paste by rocking a large knife back and fourth across the shrimp. Combine. In a medium bowl, combine chopped shrimp, shrimp paste, Nira, water chestnuts, garlic, ginger, soy sauce, cooking sake, sesame oil, and cornstarch. 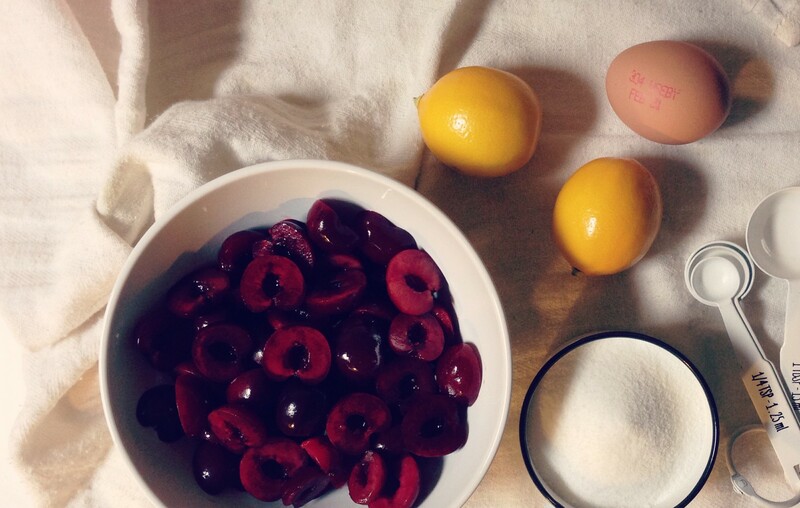 With clean hands, mix until well combined. A. Place 1 generous tsp shrimp filling in center of gyoza skin. Dip finger tip in water and moisten the edge along the lower half of gyoza skin. B. Fold moisten half over shrimp filling, creating a half moon. Pinch the center together. C. Being forming pleats (4 total). Start from the center and work clockwise. About 1/3 to the right of the center, using index finger slightly lift top skin and fold to the left. Make sure edge of fold aligns with the edge of the bottom skin. Press folded pleat against bottom skin. D. Create second pleat on right side, follow folding instructions in step C.
E. Create pleats on left side. Start from the center and work counter clockwise. About 1/3 to the left of the center, using index finger slightly lift top skin and fold to the right. Make sure edge of fold aligns with the edge of bottom skin. Press folded pleat against bottom skin. F. Create second pleat on left side, follow folding instructions in step E.
G. Place completed gyoza on a sheet pan, pleat side up. H. Complete steps A-G, for remaining shrimp filling. Fry & Steam. For each batch, repeat the following process: Warm 1/2 Tbsp canola oil over medium heat in nonstick pan. When pan is hot, place gyoza (pleat side up) in a snug, single layer in the pan. Cook undisturbed for about 2 1/2 minutes, until bottoms are crisp and golden brown. Add 1/4 cup water and immediately cover pan with a tight fitting lid, let steam for about 2 minutes. Remove lid and continue cooking until all the water has evaporated and pan is dry. Transfer to a serving plate. 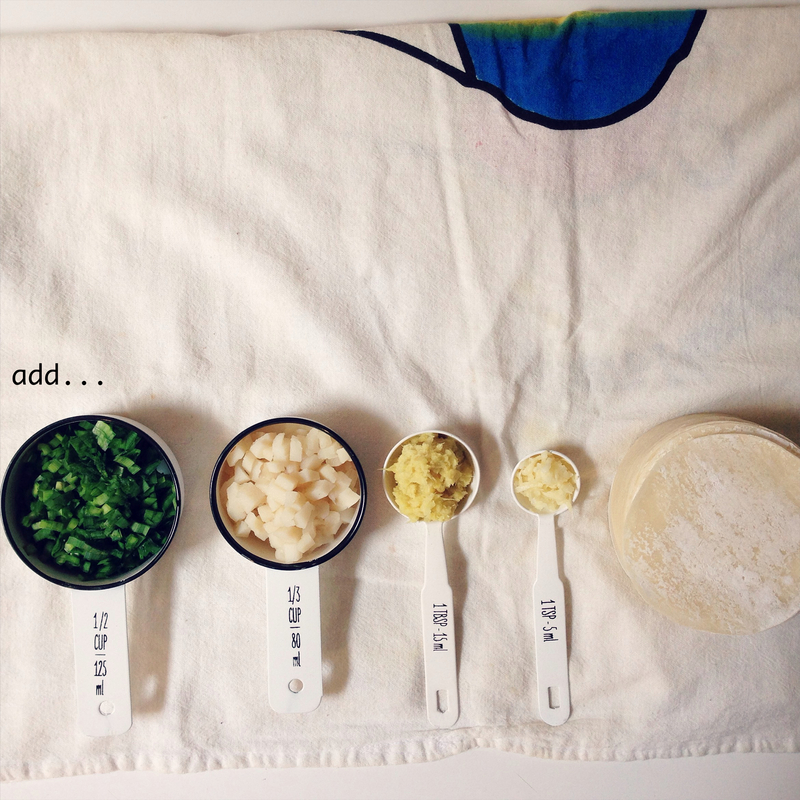 Make dipping sauce. Combine soy sauce, vinegar, and garlic chili oil. Pour dipping sauce into individual dishes and serve with gyoza. * Freeze leftovers: place a piece of parchment paper on sheet pan. 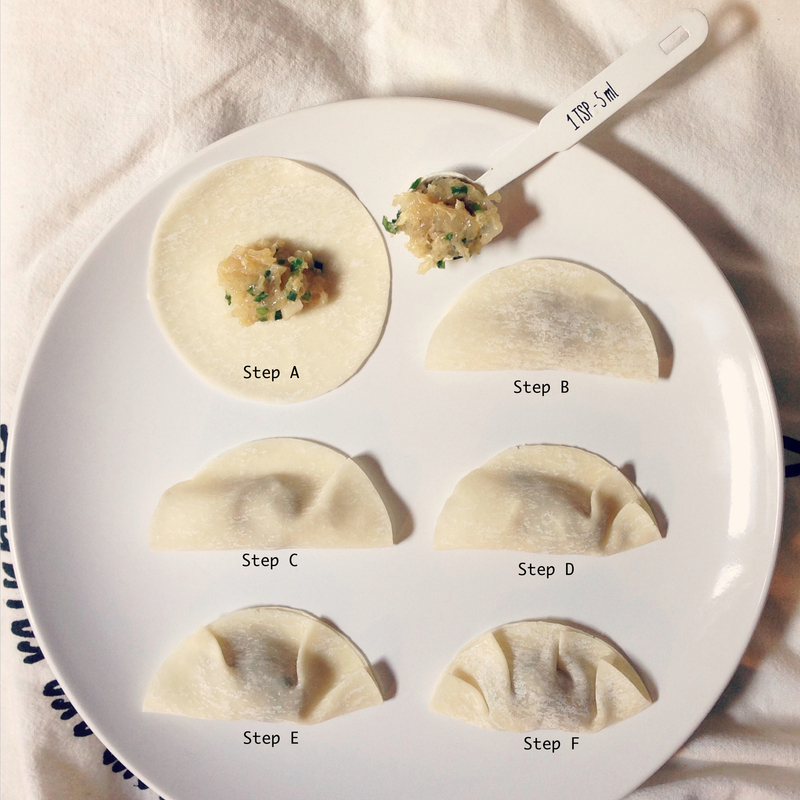 Arrange uncooked gyoza (pleat side up) in a single layer. Place in freezer. When fully frozen, transfer gyoza to a ziploc bag. * I used 30 frozen small size shrimp (defrosted).